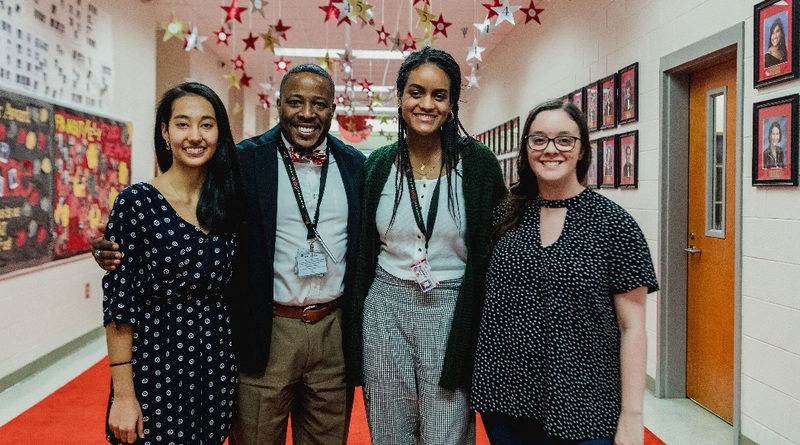 Rome High School administrators and teachers welcomed guests to the school’s theater where the 2019 Valedictorian, Salutatorian, and STAR Students and Teachers were announced. Nizamidan’s parents remember the nights their daughter dug in and studied hard to make the grade. Nizaidin Jappar and Rizwan Ahmet (father and mother) were on hand to see this announcement and take in the moment with their daughter who had worked so hard. Also in attendance were Joe and Mirna Young, parents of Caroline Young. Rome High also took this opportunity to announce the STAR Students and Teachers for 2019. Dr. Holland went on to say that he was also very proud of the STAR teachers because they have been recognized for being an inspiration to some of the school’s most academically capable students.